Why do girls need our help in Africa? We've been asked on a number of occasions why our support in communities is so focused on girls and women. As you already know, from reading our past reports, there is a direct connection between our GirlStuff.Period project and this project, My World in a Garden - Sister Walls. You might remember, we learned to connect the two projects on the ground, when we realized we could get girls back in school but needed to connect them with the food their families needed in order to keep them in school. To answer the question posed in the subject of this report, I'd like to share some information with you as to why the focus we have is so important for developing and struggling communities. What we’ve learned first-hand, in our time in communities and international development, is that when we invest in women there is a substantially bigger benefit to the overall community than when we invest the same resources in men. This is supported by decades of development data from around the world. According to the OECD.org, women’s economic participation and their ownership and control of productive assets speeds up development, helps overcome poverty, reduces inequalities and improves children’s nutrition, health, and school attendance. Women typically invest a higher proportion of their earnings in their families and communities than men. As a part of this, keeping girls in school is critical to development outcomes and the sustainable success of development efforts. With even a few years of primary education, women have better economic prospects, fewer and healthier children, and better chances of sending their own children to school. If girls’ education continues to secondary level, they will be better equipped to make informed choices about their lives. As a global family, it is in all of our best interests to help and support girls to become contributing members of their communities and the future leaders in the countries. Girls in Africa are not asking us to do it all for them, they are simply asking us all to help them be afforded the same opportunities boys are. Let’s help Girls in Africa. Spread the word. Educate your Friends and Family. Donate today. GirlStuff.Period is not just a play on words and a women led business in the little community of Bergnek, it’s a quest to empower girls, help them stay in school, and inform boys about the opportunities girls miss as a result of a totally human body function. It’s about celebrating being a girl! It’s about bringing an important and wonderful part of a girls life into the light in a respectful and empowering way for both girls and boys. 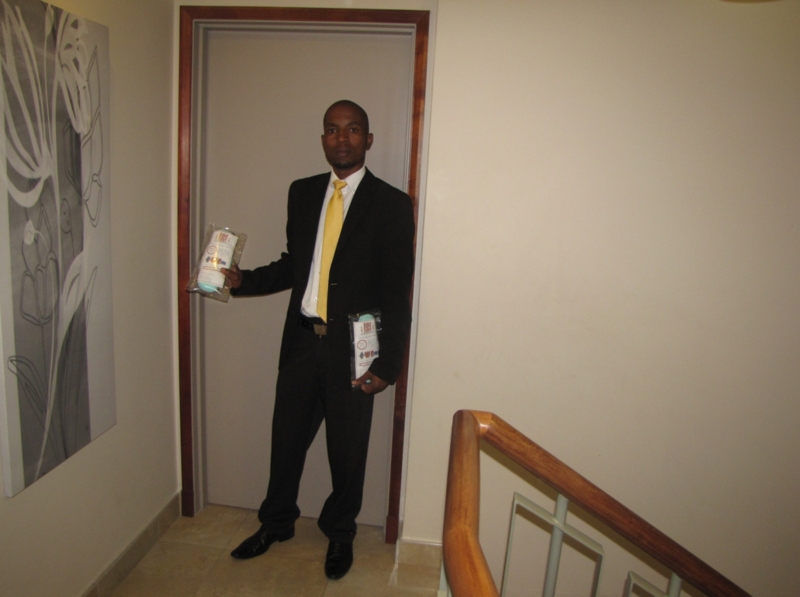 GirlStuff.Period manufactures menstrual kits and provides education to girls about the use of the kits, while educating boys to by empathetic and understanding why girls may have to miss school more often than they do, thereby missing out on opportunities the boys get simply because they are at school when a girl might be absent. 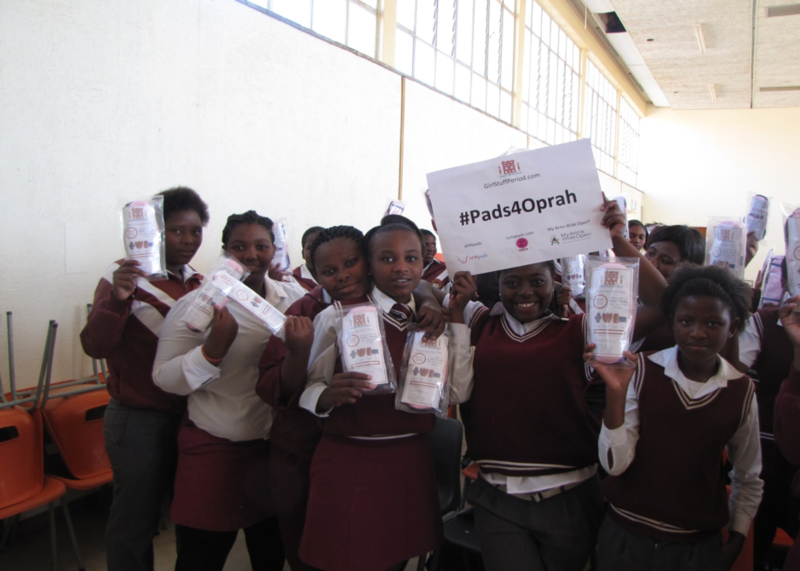 The menstrual kits that GirlStuff.Period manufactures include the pads they need, a pouch to carry them in and a bag to transport their used pads before they can be washed, along with a pad holder. 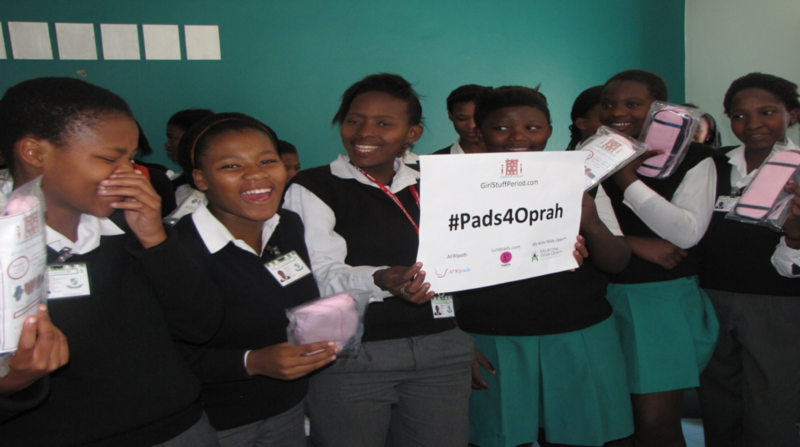 The pads and the entire kit is washable and reusable and made from materials that are safe for girls as well as very comfortable. GirlStuff.Period is a manufacturing business, and yet is SO much more. It’s about education, empowerment, and equality. It’s about celebrating girls, at a point in their lives when it is so important for them to know and believe that they are wonderful and powerful and can achieve everything they set their minds to.